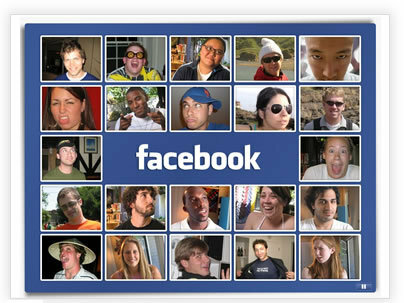 Home » Internet , PC , Technology » About Face book | What is Face book? Facebook is a social utility website it helps people to communicate more efficiently with their friends, family, neighbors and coworkers. Facebook created in February 2004, Now it is very famous in world wide. The company develops technologies that facilitate the sharing of information through the social graph, the digital mapping of people's real-world social connections. Anyone can sign up for Facebook and interact with the people they know in a trusted environment. It is a very easiest one. Facebook is a part of millions of people’s lives and half of the users. The best aspect that most members attribute to Facebook is its ease of use as compared to other social networks but, as most people realize today, Facebook is one of the most popular platforms to share photographs and announcements. Although Facebook caters to various needs of individuals, every group of individuals looks at Facebook with a different outlook as to advantages and disadvantages. For example, for internet marketers, Facebook is a means of advertising while for a group of students, it a good means of sending messages and back and forth. The strength of Facebook lies in its flexibility of use that allows almost all means of effective communication efficient.